The pitch was simple. "Find out what I see for you. Call me now to receive your free tarot reading!" A free tarot reading? Sounds great! Who wouldn't want to know what the future holds?! Will I live a long time? Will I be rich some day?? Will I find love in a hopeless place??? There was just one catch. The free reading wasn't really free. More specifically, before you actually got your free reading, you'd probably have to wait on the line for 20 minutes. And every minute that went by, cost $4.99. A 30 minute call would show up on the phone bill with a $150 charge. In retrospect, this should have been an obvious scam to any reasonable adult human being. Heck, even as a 12 year old, I knew something was very fishy about Miss Cleo and psychic hotlines in general. But I think we were all a little bit curious. And when a service is billed as being "free", some innocent people are always bound to step on the mouse trap. So how many people were tricked by Miss Cleo? A few thousand? Maybe ten thousand people AT MOST, right? I could even see how this scam might have earned its owners (presumably Miss Cleo was one of the owners) a few hundred thousand dollars. Let's be a little liberal. I could see how the owners might have even earned a few million dollars each off this scam. Well, apparently my powers of deduction are very poor. It turns out that at the peak of its popularity, the Psychic Readers Network was earning approximately $25 million PER MONTH. According to an FBI investigation, PRN earned roughly $25 million per month for two years straight. That equals $600 million dollars in revenue. After reportedly earning $1 billion in total revenue, and generating thousands of consumer complaints, the Federal Trade Commission put a big bulls eye on the Psychic Readers Network. At one point in 2001, the PRN was sued by the FTC in at least 10 different U.S. states. The lawsuits initially targeted three individuals: A woman named Youree Dell Harris, and two men named Steven L. Feder and Peter Stolz. Feder and Stolz were two cousins from New Jersey who owned a Fort Lauderdale LLC that was the principal shareholder of PRN's assets. Feder lived in a three story multi-million dollar waterfront mansion. In the driveway, Feder parked a fleet of exotic Ferraris, Lamborghinis, Bentleys and more. A 40 foot luxury yacht was docked on the home's harbor side. At his birthday party in 1997, Feder was reportedly "dripping in diamonds" while Gladys Knight performed a private concert. Less is known about Peter Stolz. According to FBI investigators, here's how the PRN's business model worked: The first thing the "psychic" had to do when someone called in, was gather their name, home address, email address and home phone number. Next, the psychic would try to sell the caller a $9.95 monthly membership. When the caller resisted, the psychic would offer a free set of tarot cards, 15 minutes of free readings and a personalized astrology chart. This back and forth typically took 10-15 minutes if the caller stayed on the line. Oh, and even if the caller eventually gave up, they would soon find themselves inundated with spam phone calls at home, junk mail, and dozens of other unsolicited offers because their vital information was immediately handed over to a lead generation company. For their efforts, the psychics were paid 14 cents per minute. They worked from home, and if they struggled to keep callers on the line for a minimum of 19 minutes, they would not receive any more callers that day. The average 20 minute phone call would translate into $2.80 for the psychic. Assuming the psychic could reasonably handle two twenty minute phone calls per hour, that's $5.60 an hour in earnings. Oh, and most of them were not psychics at all. Just women and men who needed jobs and were good at keeping people on the line for a long time. At the peak of operations, PRN employed 1000 "readers" across the nation, answering calls 24 hours a day. The advertisements that were placed to attract the "readers" blatantly stated "No psychic experience necessary". The third target of the FTC's lawsuit was Youree Dell Harris, also known as… Miss Cleo. Understandably, Federal prosecutors assumed that Miss Cleo was a part owner of this operation. I mean the whole thing was named after her, and she was the public face of the company! In reality, she was nothing more than a paid actress. Federal prosecutors also assumed Miss Cleo was born in Jamaica. In reality, Youree Dell Harris was born in Los Angeles and had never even been to Jamaica. Her parents were American citizens. As for her ownership stake in the Psychic Readers Network, she had none. 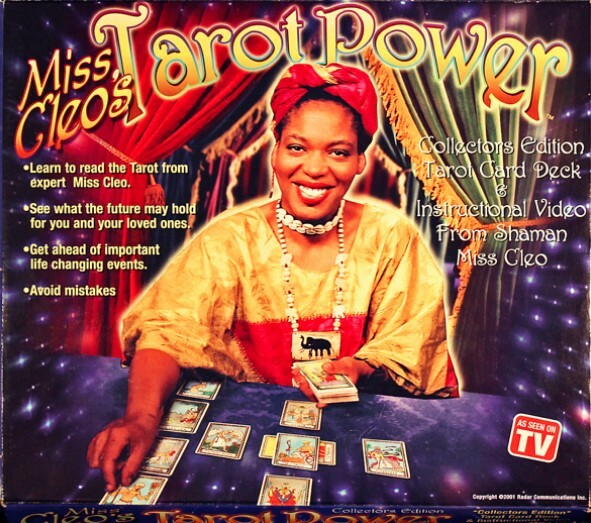 For her appearance in the Miss Cleo commercials, she earned less than $5,000. For the first batch of commercials, she was paid $1750. That covered two and a half days on set, shooting over a dozen scenes. 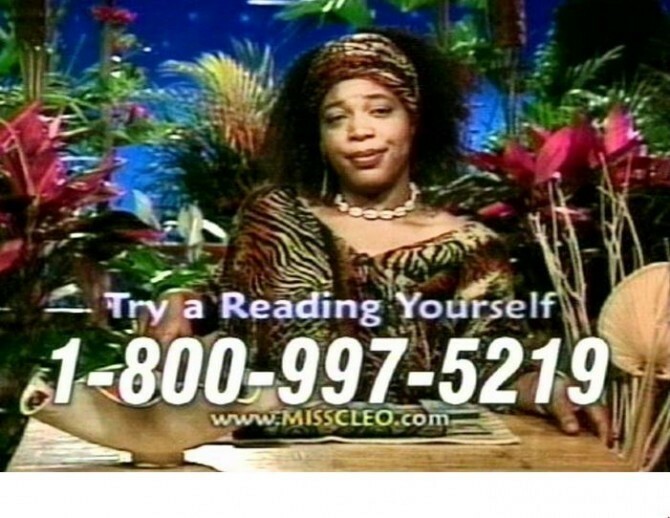 Miss Cleo was actually a psychic though, and a few lucky callers per day would actually reached her line. For her efforts, instead of earning 14 cents per minute, Youree earned 24 cents. When Federal prosecutors put this all together, they quickly removed Youree Dell Harris from their lawsuit. When the FTC filed their lawsuit, the Psychic Readers Network was in the process of attempting to collect $500 million worth outstanding charges. In October of 2002, Peter Stolz and Steven L. Feder entered a "no contest" plea to settle charges brought against them in the state of Missouri. As a penalty, they agreed to pay a $50,000 fine. In order to avoid further prosecution, they also agreed not pursue the outstanding $500 million in charges. They were free to keep the other $500 million that had already been collected up to that point. In my opinion, this is the craziest part of the story. Recently, a reporter from Vice.com tracked down Youree Dell Harris in Toronto and got her to sit down for an interview. First off, she is still working as a psychic. Not sure how that is possible. But that's not the crazy thing. When Vice met with her, Youree spoke with a Jamaican accent! A stronger Jamaican accent than she had back in the 90s. This is a woman who was born in Los Angeles. A woman who, by her own admission, went to an expensive private boarding school and is an accomplished playwright and actor. What the heck is going on??!! In the interview, she even admitted that Peter Stolz and Steven L. Feder were the ones who actually invented the Miss Cleo character and urged her to make the voice sound "fresh off the island". As for what happened to Stolz and Feder, I couldn't find anything in the news about either of them from the last decade since the lawsuits. One can only assume they are still out there laying low and enjoying their ill-gotten wealth. Perhaps on an island in the Caribbean where people actually talk with accents!